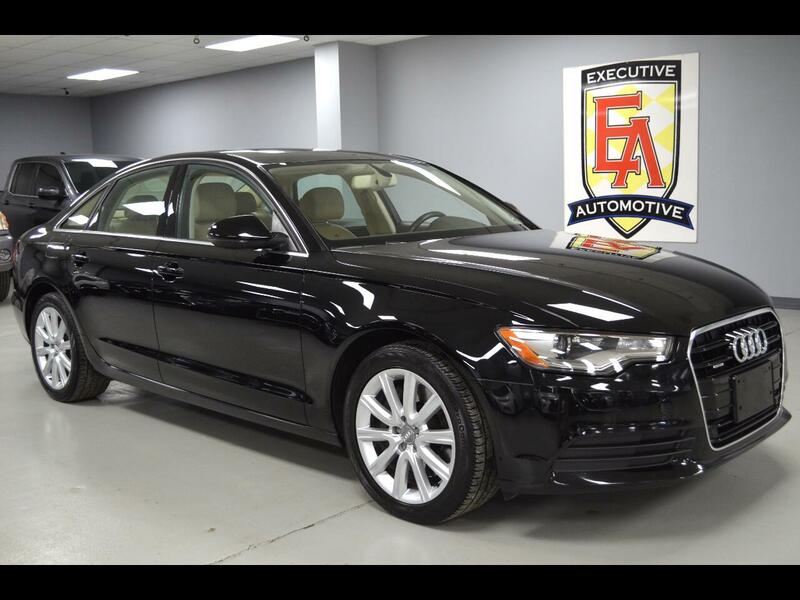 2014 Audi A6 Premium Plus, Havanna Black Metallic with Black Leather. Options Include: Navigation System, Back-Up Camera, Blind Spot Monitor, Pre Collision Safety System, Park Sensors, Power Tilt/Sliding Moonroof, 10 Speaker BOSE Sound System with Subwoofer, Heated Seats, Bluetooth Connection, CD Player, Cruise Control, Tilt Steering, Keyless Entry, Push Button Start, Turn Signal Mirrors, Xenon HID Headlights, 18" Alloys, Multi-Zone A/C, Memory Seat, Driver Side Lumbar Support, Universal Garage Door Opener, Auto Dimming Rear View Mirror, Power Windows, Power Locks, Power Mirrors, Power Seats, Power Folding Mirrors and more! Contact Kyle Porter at 816-616-2500 or email: kyle@executiveautomotive.com for additional information. Thanks for your interest in our A6!